When Saturday, January 15th, came, I paused to think how I best wanted to spend my day...the day that my father would have turned 94...one of my many new anniversaries of my heart. It was a sad day for me, because I missed him so very much and because I have spent so many of his last birthdays in Alaska..I miss being there, and having that time, again. It was Martin Luther King's birthday as well, and a day when we both celebrate, and honor his life and work, by giving and doing for others....a national "Day of Service." So, Saturday, as well as the observed holiday of Martin Luther King Day last Monday, I chose to do what I often do....I worked on a quilt for donation to the Alzheimer's Art Quilt Initiative. My own way of making a difference...one little quilt at a time. My little quilt, made of some of the bits and pieces from my sewing room, is blue and gold. Blue and gold for my home state of Alaska's state colors...the land of my father's birth on our little Douglas Island home, where I also grew up. 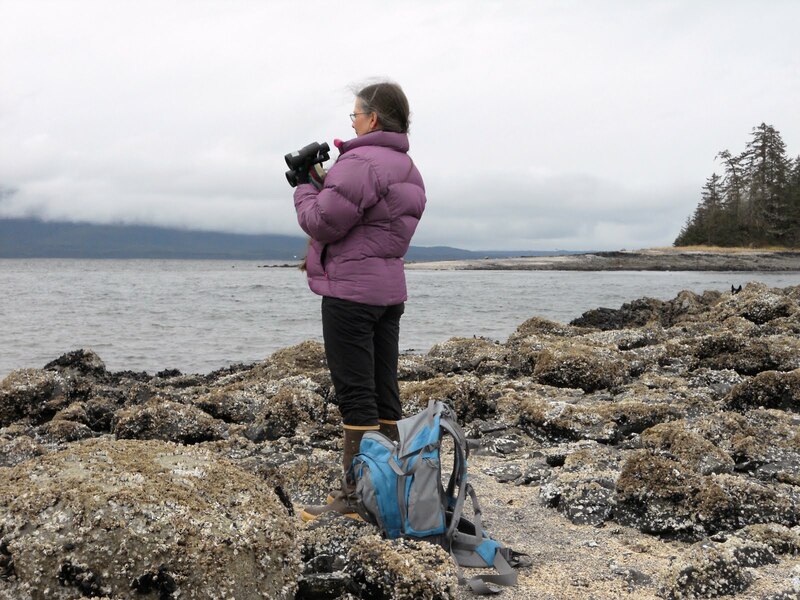 As I was hand sewing on my little quilt, I also phoned 'home' to my mother in Alaska. As my brother handed her the phone, I could hear her saying my name, so I knew it would be a good day and she would be 'clear' for the phone call. I do what I always do...told her silly stories about my chickens, talked about how she felt, but mostly I just told her that I missed her, and how much I loved her. And I send her lots and lots of love....love from the energies of my heart accompanied by big noisy kisses that always make her laugh out loud. When I told her that I loved her, she responded: "I love you, too, Michele" and later when I said that I missed her, she added "You can come here anytime." Those are amazing things to hear from someone with advanced Alzheimer's. And each and every time it does happen, it is such a huge gift to me, and to my heart. Those words turned it from a sad day, to a very, very good day. My mother still knows who I am, knows that she loves me, and most of all knows just how much I love her. And I remember that I am always welcome there, and no matter whether it is a good day, or a challenging one, she is still alive, and still there for me. 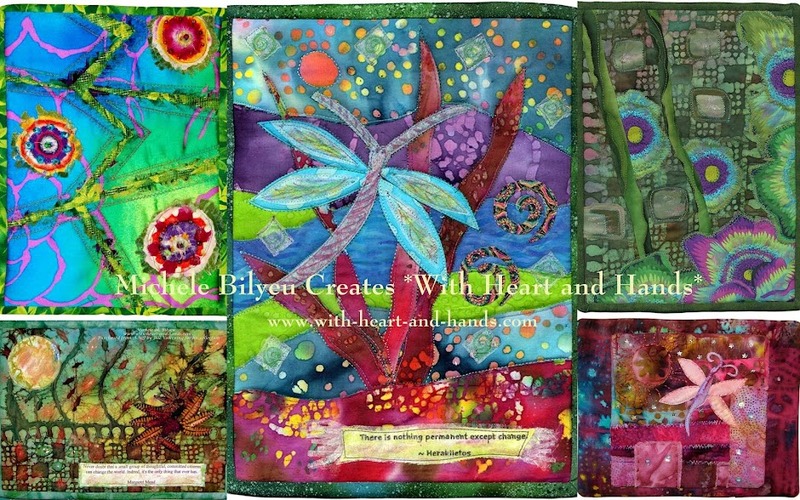 It reminds me as does my little quilt, that it doesn't matter what stage an Alzheimer's patient is at. It doesn't matter if they still can hold a phone, or are able to talk to you, or know who you even are any more! Whether they are (or were) kind or irritable, giving or withholding, able to say or show their love back....they are still deserving of being loved, of being touched, of being talked to, and of having their hand lovingly held. I feel so blessed that my own mother is still happy, that she is not striking out with anger or harshness as some AD patients do. I am blessed to be able to love her, and to be able to visit her, and help be a care giver many times a year. But even if she was one of those who finds a different space within the horrible disease process, and trust me........even the physical challenges are absolutely enormous to a family....you are still able to love them, and visit them, and hold their hands with a soft and loving heart, and open mind as to who they seem to be now. It's very sad and deeply challenging to miss who they used to be. You simply try to accept it and meet them where they are......each and every single day. Alzheimer's is a slow death by loss of identity and memory, but to me it is still easier than the actual physical death and loss of someone you love. And I never forget that. I love you so much, Dad, and I will always, always miss you. But I love you so much, too, my sweet mama...and you are still here...and so am I. And I'm still trying Dad, still trying my dear little mama..trying to be strong, to keep my heart open, to always show my love, and to make a difference in my life, and the life others...one little quilt at a time. 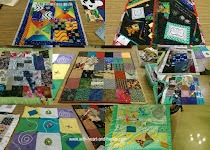 Liberated Quilting Challenge: join our own quilt bloggers Liberated Challenge and have your donated quilts also showcased on an additional page at AAQI. Michele, this is such a moving and inspiring post! So glad you were able to do something you love on your Dad's birthday...something that helps others...and so glad you were able to share a very good day with your mom. Bless you! 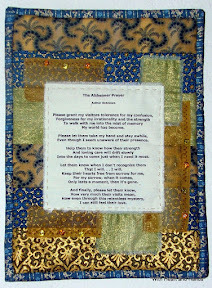 This little quilt is beautiful, Michelle....the poem is touching and oh so true. Your love for your dear father will always exist, although of course, it is different with him gone. I am so happy that your Mom still knows you even with the advanced disease. That is really a blessing! I am a nurse working with Dementia clients every day of my working life. This post moved me very much. I see both relatives and the clients in distressed states and as a paid care giver it can be very hard to to watch the distress. I want to do so much more to help. Is it possible to use the poem in my work place, it is the sort of item we use a lot? I am so glad that you are treasuring every lucid moment with Mum. I am so touched by your post today. I feel there is a reason for I have come to know you through this common place. Your quilt is beautiful. The poem holds such a truth! I am glad you got to spend those precious moments with your mom. Hope and a positive attitude make the giving easy and you do it with such grace and elegance. Your father would be thrilled to know that you are giving the gift of quilts to help others find solutions to the challenges of Alzheimer's. There is a wise lesson in your post- we all need to live in the here and now- We can not look to the past with longing or we will miss what is beautiful today. Thanks for the uplifting and touching post. I'm so sorry for your loss. I was touched to read about your Mom and the love you have for both your parents...you show what wonderful people they are and were. Thank you for all that you do for others! What a lovely post. I can relate with everything you said and I just love the poem. I made a PQ featuring that prayer a year or so ago ... it speaks volumes for those who take the time to listen. It must be so hard for you to care for your mother as you see her this way; but as you said; what a blessing that she is sweet and not angry. My grandfather was sweet as well. A lovely prayer for your Dad Michelle and a heartfelt tribute to your Mum! The link between you and your mother is very strong. The best thing you can do with love is to give it away. I think you know that very well. Blessings on you and your family. My heart goes out to you, Michele! I always think of my mom and dad on their "would-have-been" birthdays, too--breaks my heart each and every time. I know you will always miss him...and your mom too, I mean miss her thoughts...what a sweet quilt, Michele...many hugs! !